To have a magazine titled Intelligence call you out for your low ‘cognitive ability’, as they put it, is not exactly a pleasant situation. But that’s what happened to a portion of the 11,654 people who were interviewed for a survey conducted by the University of Queensland inAustralia. The results of this study, which was led by Francisco Perales, show that there is a link between the acknowledgement of homophobia by participants & lower intelligence or cognizance levels. Three fundamental and standardized tests were used to conduct this survey. The first of them is the National Adult Reading Test, which is a commonly used and generally accepted test used in a neurophysiological clinical setting to determine intelligence levels in patients who have been diagnosed with dementia. The Symbol Digits Modalities Test is another test used by the University in their study. This test is normally used to assess the level of brain damage that has resulted from severe injury or diseases and is said to be able to detect cognitive impairment in less than 5 minutes. The last type of test that they used is also frequently used in neuroscience research labs and can be categorized as a memory test. Armed with the arsenal of tests mentioned above, the survey participants were first asked to take these tests. Following that, they asked people’s opinion on whether “Homosexual couples should have the same rights as heterosexual couples.” Analysis of the survey data revealed that the people who disagreed with the statement had poorer performance in the tests than the people who agreed. It’s not just that; this relationship between the results was maintained even after demographic factors such as education were controlled in a group. 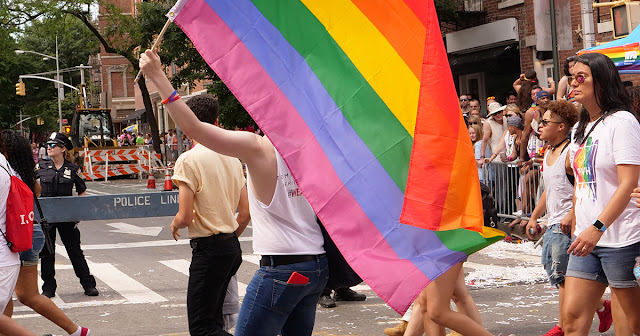 The researchers found that cognitive ability was not the only factor that was affecting the people’s homophobia; education also had a role in it. It is only natural that these correlations would arise between homophobia and intelligence or say, level of education. Bestowing judgement for what a person chooses to be or what they choose to do has always been a specialty for our species. Through this survey, awareness can be raised and education can be suggested as a way of counteracting prejudice towards members of the LGBTQ Community. I would guess that all prejudice is linked to lower intelligence. I have no evidence to back it up, but I would assume that people with less cognitive ability would be more fearful and superstitious in general. They would also be easier to manipulate through fear. And prejudice is most often rooted in fear of differences real or imagined. BTW, Please check your headline. "New Study Show". If you point is about intelligence, it's difficult to be taken seriously when your grammar is incorrect. I know. I'm a terrible proofreader as well. Please no haters for trying t help! Blessings.